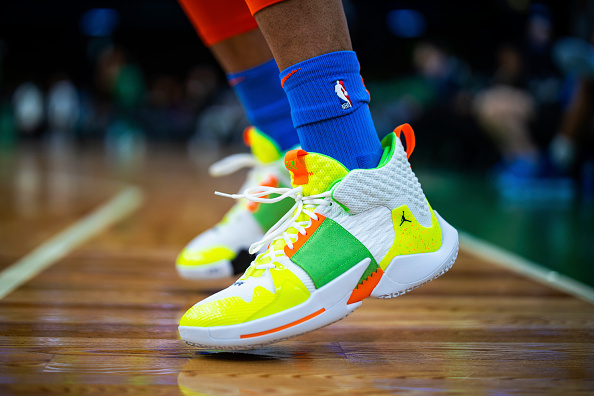 Russell Westbrook showed up to the TD Garden in Boston last night packing a special edition "Super Soaker" colorway of his Jordan Why Not Zer0.2 signature sneaker. 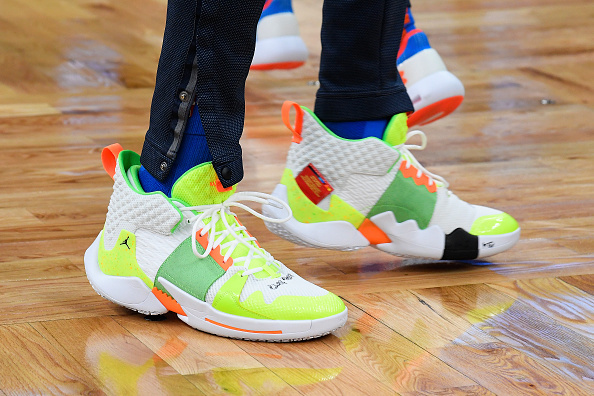 The kicks even came housed in a custom box that perfectly mirrored the way the classic '90s water guns were packaged. 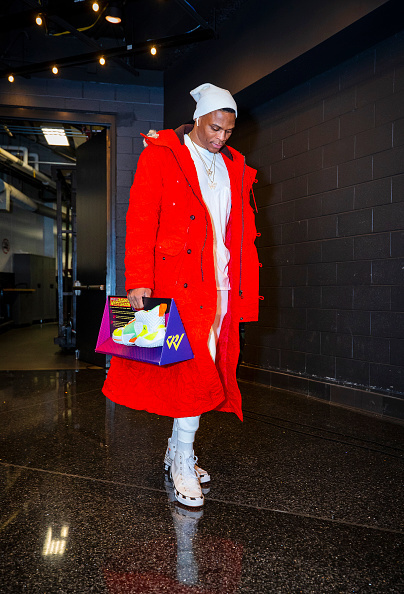 The Super Soaker sneakers weren't just for show either, as Westbrook laced them up for Sunday's Pre-Super Bowl showdown against the Celtics. 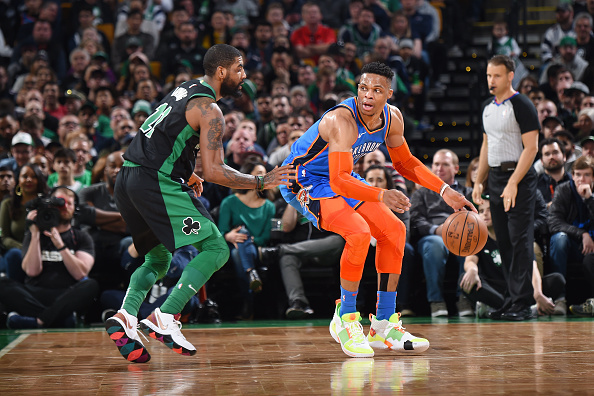 With the colorful kicks on his feet, The Brodie went off for another triple-double (22 points, 16 assists and 12 rebounds) but the Thunder still took an L by the final of 134-129. 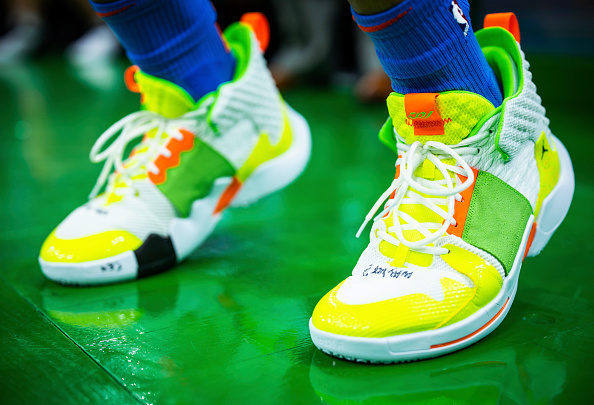 It remains to be seen if/when the special edition Why Not Zer0.2 will release but we'll keep y'all posted with any developments. 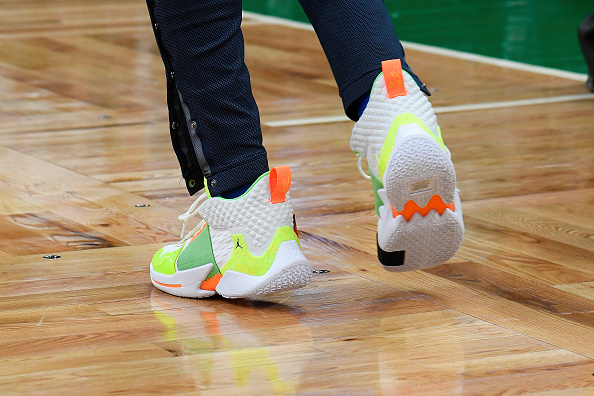 Check out some additional on-court photos below.